During November, Country Meadows is observing Alzheimer’s Awareness Month by using our experience and resources to provide information on dementia and help families who are dealing with it. As a member of the Alzheimer’s Workplace Alliance (AWA), Country Meadows has an important role in educating and guiding families. The AWA is a group of nearly 2,000 companies and organizations leading the fight against the disease. What are the 10 early warning signs of Alzheimer’s disease? The Alzheimer’s Association lists the following 10 early warning signs of the disease, which is the most common cause of dementia. Alzheimer’s is also the sixth-leading cause of death in the United States. Families who notice any of these symptoms should make sure their loved one sees a physician. At the doctor visit, a family physician, geriatrician or geriatric psychiatrist will assess the patient before prescribing medication or non-drug therapy, as well as coping tips for the senior and family. To assist families in understanding dementia and knowing what to expect, we have prepared a guide just for them, “Understanding Dementia’s Effects on Your Loved One and Family.” You can order the guide now or pick it up at any of our 11 retirement communities in Pennsylvania or Maryland. 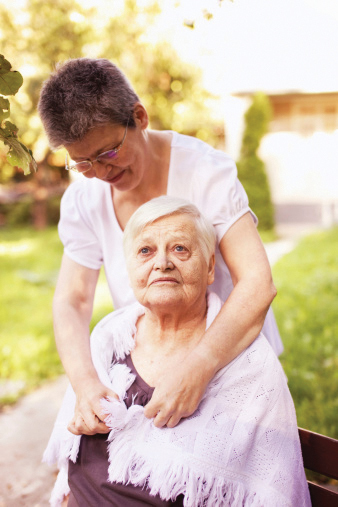 The guide looks at assessing memory loss, caring for someone with dementia, visiting persons with dementia, legal and financial planning and more. We also recommend our seven tip sheets on dealing with memory loss, including “What to Look for When Choosing a Memory Support Program” and “When Is It Time for a Memory Support Program.” In addition, each of our campuses hosts a memory support group for families of seniors with dementia. Check out our schedule of times and locations. At Country Meadows Retirement Communities, we realize that memory loss can be unsettling and even debilitating for some seniors. That’s why we developed our Connections Memory Support Services, which has cared for more than 10,000 people over the last 20 years. If you have a loved one who might benefit from a Country Meadows memory care facility, please read our additional information, view our video and contact us to ask about our memory care support locations and services.